Extended 12 week work placements are helping young Scots to have a better chance of finding a job, Scottish Secretary Michael Moore said. He said that Jobcentre Plus is now offering employers in Scotland the chance to take on young people for an extra four weeks Work Experience if it leads to an apprenticeship. The Minister was speaking on the day the Business Secretary Vince Cable announced measures to make it easier and more attractive for firms to take on apprentices. Over the past six months the Secretary of State for Scotland has been promoting a collaborative approach to supporting young people into jobs in Scotland. In partnership with local Councils, he has held events across Scotland to bring together employers, young people key partners to tackle youth unemployment. “I have been holding youth employment seminars across Scotland and devolved subjects like skills and apprenticeships are regularly raised with me. This means it is vital that both UK and Scottish Governments work together in supporting youth employment across Scotland. 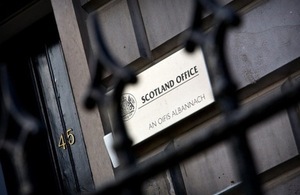 “We must ensure that the resources of the UK and Scottish Governments work harder and better. A good example of this is that Jobcentre Plus are now offering employers in Scotland the chance to take on young people for an extended 12-week Work Experience placement if it leads to an apprenticeship. This can make a real difference to a young person and they will continue to receive benefits during these 12 weeks. The Secretary of State’s next youth unemployment seminar takes place in Falkirk later this month (24 November) and will focus on employment prospects for young people in the Forth Valley.